Bishop George Bell: When is a cloud not a cloud? This story should strike close to home. It is the story of a famous Bishop, who was the recipient of the last letter from Pastor Dietrich Bonhoeffer, before his execution by the Nazis in 1945, only a few days before he would have been liberated. It is also the story of a man accused with weak evidence, whose singular victim was believed without proof, and whose memory was besmirched rather badly by the church he served faithfully and well. 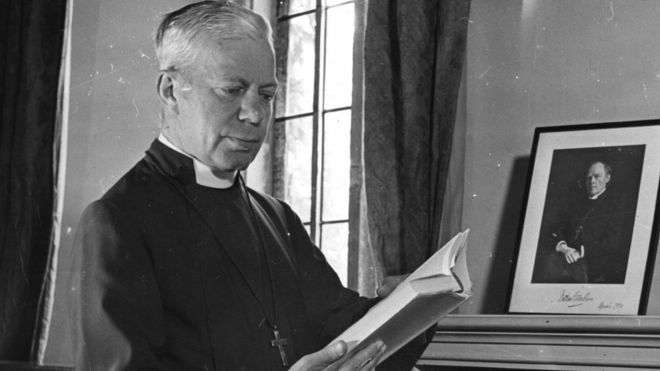 The Church of England has now published the Briden Report into the further allegationsagainst Bishop George Bell, and as with the report of Lord Carlile, Archbishop Justin Welbyand the Bishop of Chichester have immediately issued statements of their own in response to the conclusion that the fresh allegations do not reach the ordinary standards of proof which are routinely required in the civil courts to enable a safe finding to be made against those accused. Few can fail to welcome the closure that this report appears to bring to these matters, based upon what it is possible to state with any reasonable degree of confidence, given that six or seven decades have passed since the events in question, with all the problems, lack of clarity and potential for injustice that such delay inevitably brings. The delays in reporting in this case are exceptional. Memory is not reliable over such long periods of time and the only way to establish that the allegations are true would be through corroborating evidence… Memory is not reliable over such long periods of time. Recall is an active mental process in which memories tend to become distorted with time to fit the individual’s beliefs, needs and values. Both the content and the meaning of recollections change with time. Events can and do acquire a significance years later that they did not have at the time (Carlile Report, para 178). These observations made in respect of the original allegations are no less pertinent to the subsequent complaints which were of similar antiquity. We should further have regard to the well-established principle that the more serious the allegation, the more cogent should be the evidence necessary to established it: in simple terms, one might require less evidence to believe an archbishop guilty of a parking infringement than that he indulged in devil worship. Few allegations are more serious, or indeed destructive of reputation, than a suggestion of child abuse, and the evidence required to establish it is, and should be, proportionately robust. Read it all at the above link. It is not really adequate to my mind, but probably the best we can do at this late date. The folly of attempting to besmirch this very outstanding churchman does great harm, in my mind at least, to the reputation and leadership of the Church of England, including Archbishop Welby. Pretty weak stuff but perfectly normal for our times. Overwhelming evidence is ignored and weak allegations are believed. It is preposterously accepted when the elites want the head of a man and the evidence is ignored when they are one of them. I guess we should just get used to it. That seems to be the new world order. Saying what I think better than I do. 🙂 Yeah, it seems to be a CoE specialty, not that our churches and governments aren’t also proficient at it. Everyone is intent these days to be seen as Politically Correct and therefore hide from criticism of the press. No backbones left amongst them to stand up to the global elites and their condemning of all things Christian . . . the same principle being applied to the Covington kids.